Quietest Operation - it still makes some sound of course. One Year Factory Guarantee. ET model only. Prints on documents up to 1/8'' thick. 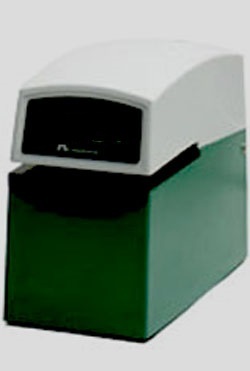 Heavy-duty motor ensures accuracy, while the electronically controlled printing provides clean, instant registrations. Metal type wheels, adjustable impressions, reversing ribbon. 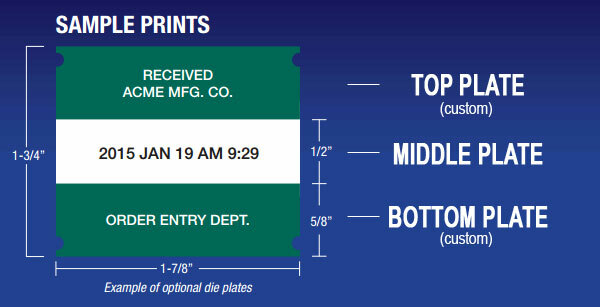 Upper and/or lower die plates available for custom engraved messages.